I'm taking participation in over 50 repositories in GitHub. We manage all of our projects there. GitHub is sending me hundreds of emails every day. I'm serious. Hundreds! I tried to filter them somehow in Gmail, but it's not really possible. Gmail filters are not powerful enough to understand the difference between different types of notifications, and there are many other problems. I decided to create my own simple filtering machine. It's called wring.io. 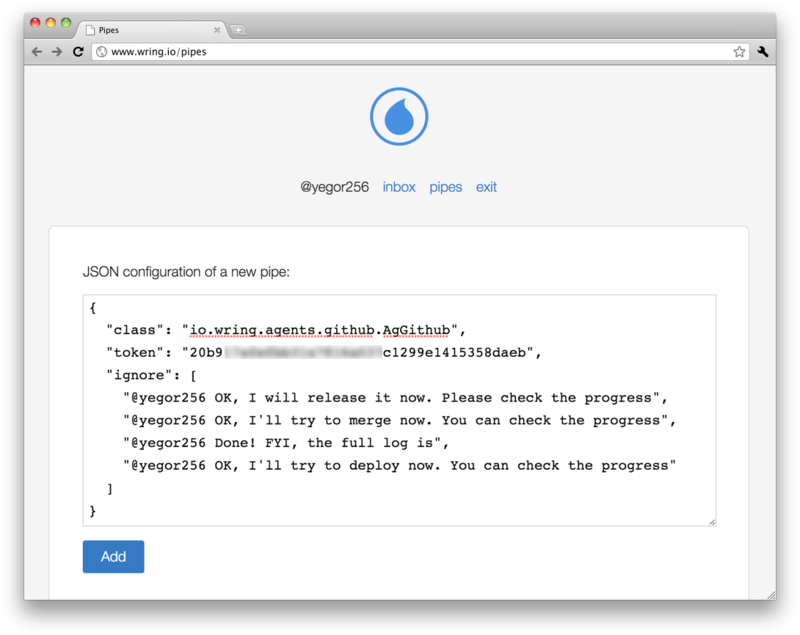 The idea of wring.io is simple. 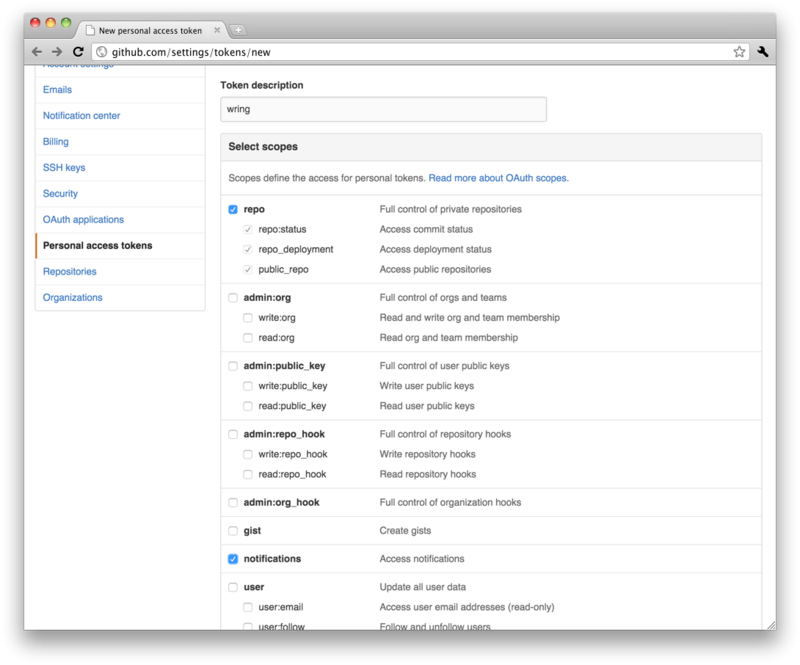 First, I'm registering my sources of notifications (called "pipes"), such as GitHub. Then I'm giving wring.io permission to connect to GitHub on my behalf and fetch whatever is new there. Then I'm configuring what should be filtered out, using text matching and/or regular expressions. Right after a new pipe is created, wring.io starts pulling all my sources and updating my inbox. All I need to do is delete new messages from my inbox when I'm done with them. That's it. It's a JSON object. Property class must be set toio.wring.agents.github.AgGithub. This is the name of the Javaclass that will be pulling my notifications from GitHub. The project isopen source, so you can see how the class actually works:AgGithub. Then I go to my inbox and read what's there. This solution literally saves me hours of time now. Feel free to use it, it's absolutely free. Moreover, it's open source, so feel free to contribute.